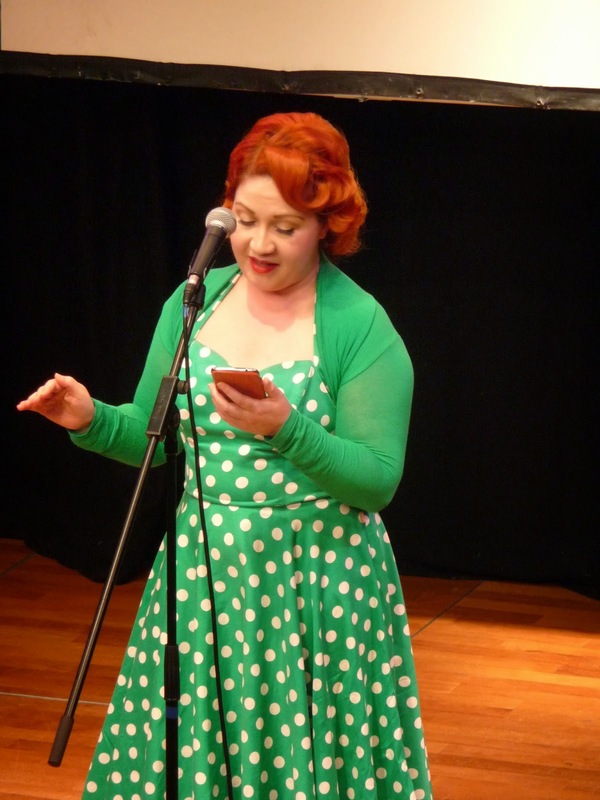 The Speakeasy is our monthly spoken-word show at The Scottish Storytelling Centre. ...the entrance to the Box Office looks like this. Grab a drink at the bar and head downstairs to the auditorium. ...author/journalist Julie McDowell. Julie was as brilliant (and glamorous) as always! I definitely recommend Julie's book Casting The Net - all about the horrors of online dating. Next up... Glaswegian comedian Stuart Mitchell. If you get a chance to see Stuart, you should go...the audience loved him. We're going to try and get him back a.s.a.p. ...and we were ready for my favourite section - the Drinks Interval. Kicking off the 2nd half... "RHYTHM" - Gymnast Leanne Keane talked about her career. "RHYTHM" was performed by comedy actress Sarah Barron, and written by Sarah Barron and Ann-Marie Comber. ...playing both himself and Robert Lewis Stevenson. Michael is performing the full show at Adam House, 18th-22nd November as part of The History Festival. ...then "The Onion of Bigotry" is the show for you. I've seen The Martians several times now and they're always fantastic. End of the show - one last story from me ... and we're all done. Comedy, beat-boxing, storytelling, gymnastics, dramatic readings! Two hours for only £6.00!! Then we all went to a local bar where Michael Daviot proved to be even more entertainingly crazy offstage as he is onstage, The Martians lurked in a leather-clad group and I had to pay for my own drinks - no matter how much I waved my empty glass while chatting to audience members. Bastards.